Kim runs an e-commerce site that sells cubic zirconia, diamond-alternative jewelry. She wants to get better organic search rankings for her company, and she understands that she can improve her search engine optimization through content marketing. Through her blog, social media posts, and other means, she hopes to improve her search visibility and ultimately sell more rings, necklaces, and pendants on her site. Here are rules that Kim followed to retool her e-commerce content for better SEO and conversions. Market research has long been used to learn about what type of target demographic interests the people in your target groups. By adding SEO research to the mix, you are able to address more granular, specific concerns – what they want to know when they are searching online. To really refine the path you take with content, speak with your customer service team to learn more about the types of questions that are asked the most often. The problem-solving that your staff performs every day for your customers should overlap with the ideas you get from search analytics; and when you start answering these questions effectively through your site, fewer people will contact support. Since Kim’s company is a small startup, she handles the customer service herself with the help of an employee, Dale. Kim and Dale sat down and brainstormed 20 frequently asked questions. Kim then combined these questions with ones that she found from keyword research. These questions were then used for creating titles and generally building ongoing buckets of subject matter through which the blog would be developed. Content is not so much a get-rich-quick scheme as it is a get-rich-methodically scheme. These articles are about giving people information in order to establish authority, trust, and rapport. Because e-commerce companies often have thin margins, it’s difficult to budget for something that won’t pay off for 6 or 12 months. However, since blogs can help you better connect with your audience, they can also sometimes make it possible to bump up your prices. That’s because people aren’t just price-comparing but are becoming more attached to your brand. Kim was having trouble building content into her growth plan because she knew it was unlikely to deliver strong immediate returns. As a strategy to make up for the increase in costs represented by content, Kim delivered strong content for two months and then started raising her prices. At six months, the investment in the content started to pay back. The bottom-line rule for content marketing is just the same as it is for other aspects of your site: user experience. In the context of a blog article, the question is how you can make that article captivating and engaging – highly readable. One of the companies that has succeeded to the greatest degree with this tactic is River Pools and Spas. Although the company is fundamentally a brick-and-mortar company, their focus on answering customer questions led them to the top of searches for their industry – especially because they were willing to answer any question a customer might have. Those questions include addressing the price of your product or service, i.e., the question that’s answered by a buyer’s guide. Using River Pools and Spas as a model, Kim developed a buyer’s guide for her store. Working with the blog on cost of inground pools that drew more traffic to the pool store than any other piece of content, Kim wrote the title, “Cubic Zirconia Jewelry Pricing and Cost Guide.” She then oversaw the writing of the guide to ensure that it was not written as a sales catalog but as a source of unbiased consultative information. An analysis of 100 top-performing blogs (with great search rankings) found that fully 45% were numbered lists. Clearly, lists are correlated highly with strong SEO, but they are a great way to approach content for other reasons too: they’re relatively straightforward to compile, allow for easier skimming (how most people read blogs) and are readymade for sharing. Kim wanted a good blend of different title formats, so she rephrased some of the frequently asked questions she had devised with Dale into lists and “how-to” articles (guides/tutorials), leaving some of them as simple questions. The result was a master list of article titles for the next few months. Running an e-commerce site is all about balance. When you look at any task, you want to perform it well without overdoing it. However, it is important to realize that there is substantial value to going long with some of your pieces. A guide that is delivered as a blog or an ebook, something in the area of 5000 to 20,000 words, is a way for you to really become the authority figure for your niche. You want to think carefully about how broad or narrow your topic is for maximum impact. Also, don’t make the mistake of thinking you have to come up with all the ideas yourself. These guides are usually best constructed by combining your own perspective with ideas gathered from authority content. As Kim considered what would make the best long-form guide for her business, she centered on “Everything You Need to Know About Cubic Zirconia Wedding Rings.” She then copy-pasted that title into Google and started to work her way through the results. Her initial research unveiled an article by a gemologist about the history of the compound; using that type of objective content, she would build the skeleton outline for her guide. Search engines are always being improved. However, descriptive text is still a powerful way to let them know what your images and video are. In this way, you are recognizing that your content needs to meet the needs of both your customers and the search engines. Feeding the right information to Google and Bing will help them help you. Kim started implementing better descriptions site-wide and anywhere else she’d posted content. She transcribed all her videos, wrote out information about all her pictures, and derived talking points from infographics to better explain them. 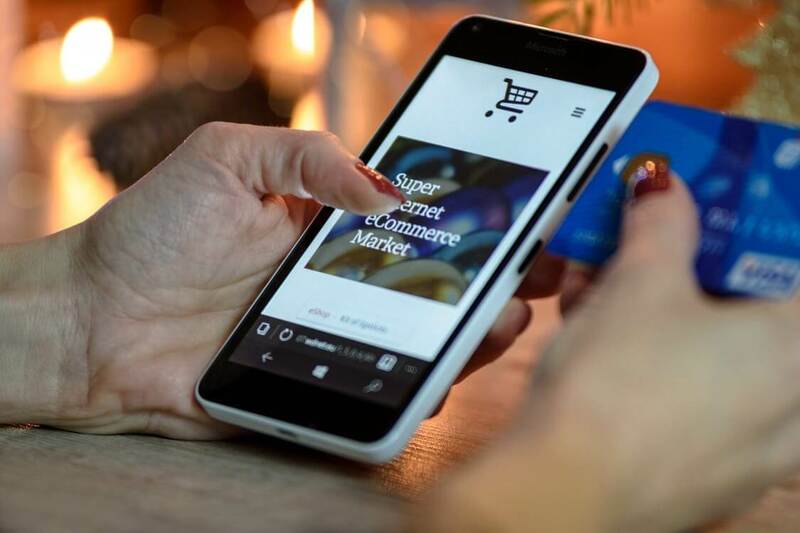 Selling is a basic aspect of an e-commerce shop that should never be forgotten, even when you are aiming for objectivity and transparency in your content. After all, you won’t just get shoppers to your site but searchers as well. If those searchers find valuable information in your content, they could end up buying as well – as long as you aren’t too salesy. Don’t be aggressively promotional. However, a call to action is necessary to guide searchers from your blog to your shop. Kim started getting great rankings for her content a couple months in, better than she was getting for her e-commerce product and category pages. Luckily, she was well-prepared for that, with a call-to-action at the bottom of each piece. At the end of each blog, after she had talked about care of a cubic zirconia ring or discussed the differences between two types of stone arrangements, she would turn lightly to a short, 2-3-sentence paragraph at the end. This CTA would close with a link to a relevant page of her shop. Do you want better SEO and an improved conversion rate for your e-commerce site? Great content is just one piece of the puzzle. For your e-commerce site to deliver the speed and reliability that will keep users enthralled, you need excellent infrastructure. At KnownHost, we custom build all our Managed VPS servers and use only the best components available, to ensure maximum performance and stability. See our managed VPS hosting packages. Why Is It Easy to See That E-Commerce is Speed?